The latest Monograph is now available, published here, the eighth in the series. It brings me close to my personal but undeclared target of ten by the end of the month. As with some others, this one started off as a blogpost, reaffirming the relationship between the blog and my research work, the one being a platform for the other. I believe it’s the interaction between the two, with the online input from the comments, which gives the work the edge, and ensures that it is focused on issues of relevance. Needless to say, the work is going to be largely ignored by the media – and totally ignored by the intellectual desert of the London think-tank scene (on both sides of the divide) which, if it can’t steal it, will simply pretend it doesn’t exist. This creates certain ambivalence. One writes work to be read – that is the purpose of it, and for most writers, the larger the audience the better. But in this case, the writing is for those who appreciate it. If it is a small, select audience, so be it. On the other hand, there are those who say they’re interested in Brexit yet avoid this site like the plague, justifying in all sorts of ways – if pressed – their refusal to read material from one of the foremost experts in this field. They do me no favours by reading the material, and I’m entirely indifferent to their reasons for not coming here. If they do not read these Monographs, that is their problem – their loss. One person I’m pretty sure won’t be reading this particular Monograph, which is on WTO schedules and concessions, is Charles Grant, director of the Centre for European Reform. He has made a complete fool of himself on this issue, having made some fundamental errors that even a novice would be ashamed of. 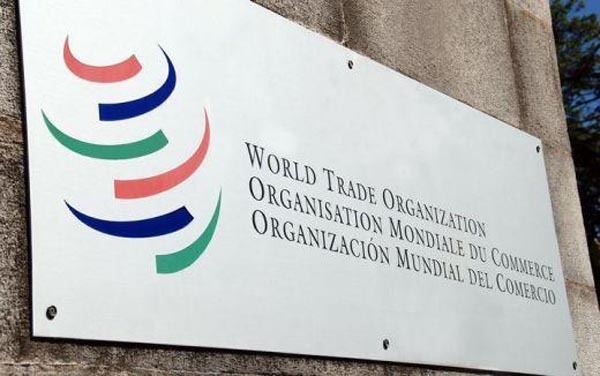 He argues that Britain is currently “a member [of the WTO] via the EU” and thus asserts that the UK would have to undergo the WTO accession process on leaving the EU in order to attain full membership. How people of Grant’s supposed status can make such basic mistakes is a puzzle to me, especially as the reality is so easily demonstrable from the WTO website. Perhaps the answer is here in my own earlier comments. If I made such an error on this blog, there would be any number of people, friends and foes, who would be quick to tell me. And the mistake would be corrected. With the Charles Grants of this world, however, they are above the fray – far too grand to make mistake and totally impervious to correction. They live in their secure bubbles, where they hear only adulation, and thus are never brought to confront their mistakes. The tragedy for them (and, indirectly, for us) is that they have robbed themselves of the opportunity to learn from them. Another person who will probably be avoiding this blog (if he has ever heard of it – which is unlikely), is former WTO press officer Peter Ungphakorn, who has attracted many plaudits for his analyses and his suggestions for resolving the issues which could arise from Brexit in relation to our WTO membership. Mr Ungphakorn, by virtue of his former employment, is one of those fortunate to enjoy an amount of prestige when it comes to talking about the WTO, although one wonders why. Whenever, in a professional capacity, one needs to contact press officers, it is invariably to get access in an organisation to someone who knows what they are talking about. One does not naturally expect information from press officers – no matter what titles they give themselves. Interested readers, however, are entitled to be irritated by the efforts of Mr Ungphakorn and, for that matter, Charles Grant, as they are entitled from the expenditure of the effort it takes to read their work to come away from it better informed. But from neither do we get any reliable picture as to what the situation might be, regarding the WTO, when we Leave-the-EU. What are lacking are certain essential points, hard won from the research which went into the current Monograph, without which it is not possible to make sense of the situation. Firstly, one must appreciate the key difference between the EU and the WTO. In the former, compliance with treaty provisions is an end in itself and non-conformity is actionable. In the latter, intervention is predicated on there being evidence of harm. Once this is appreciated, most of the complications attendant on the UK having to regularise its relationship with the WTO fall away, and become of very little importance. But then, as we see from further research which went into the Monograph, there is that essential element of the “waiver” which allows WTO rules to be suspended if a member has difficulty with compliance – a mechanism which would permit the UK to resolve problems in the short-tem, deferring them until it has the time and resource to deal with them at its own convenience. Despite the absolutely crucial nature of these elements, neither Ungphakorn nor Charles Grant mention them. Yet, to the specialist, neither is any great mystery. The “harm” trigger is fundamental to the way that the WTO works, while there is even a 400-page book written on WTO waivers. What we are seeing, therefore, are exaggerated accounts of the adverse consequences that might be experienced, evidence of a post-referendum phenomenon, whereby former “remain” supporters and others are tending to over-complicate the Brexit process, introducing needless complications. Some, and certainly Charles Grant, appear to be seeking to reverse the referendum decision. Ironically, Grant is telling the Observer that some “very senior” people in the UK government are deeply ignorant about the single market, and adds that only now are the Brexit-backers beginning to grasp the difficulty of what faces them. “I think that two months down the line the senior Brexiters are beginning to realise that the whole process is going to be a lot more complicated, time-consuming and boring than they had imagined before, when they had presented it all as black and white”, he says. “They are beginning to realise that this will occupy most of the energies of government for the next five to 10 years”. This, though, is the same Charles Grant who so confidently tells us that the much-discussed “Norwegian model” is not viable. Norway, he says, “participates in the single market, but pays into the EU budget and has to accept free movement”. You begin to see a trend here. He ignores those aspects of the WTO rules which would militate against WTO schedules of commitments being a problem, and then in turn, when it comes to the Single Market, ignores the Liechtenstein/EEA solution. But just the same is happening on the other side of the divide, with the Spectator airily telling us that, “Think tanks, websites and other groups should make the case for the clear, open version of Brexit that was described, and endorsed, at the referendum”. We don’t even need to point out the irony of that, or the fact that the Spectator has been all at sea over an exit plan yet acts as if EUReferendum.com is invisible. For many of us, it actually seems as if information only becomes visible or acceptable if it originates from an approved source, notwithstanding that the ability to cultivate selected ignorance is one of the most powerful tools of the propagandist. For me personally, I can’t quite pin down precisely when I lost interest in these sterile games. But I’ve decided that our only way forward is to provide a consistent flow of high-quality information backed by the most thorough research of which we are capable. The results so far are listed here, and accessible from the “Monograph” link on our top menu bar. Number 8 will soon be followed by another, and another. Nobody will be able to say that the information isn’t available. Whether they use it or not is entirely up to them. Next Next post: Hear No Evil, See No Evil, Speak No Evil as The EU Leaders Refuse To Learn!